Aliexpress Dropshipping; if you’ve never come across Aliexpress before, is one of the largest online e-commerce marketplaces. It connects international buyers from around the world to wholesale suppliers in China. It is owned by The Alibaba Group, which was originally setup as a portal for business-to-business wholesale. Aliexpress works at the consumer level, connecting customers to smaller businesses in Mainland China. It sells just about anything, so it is similar to using Amazon or Ebay. The sellers on Aliexpress are independent vendors so the website works as a gateway for small businesses to access international customers. There are many other dropship companies to choose from but Aliexpress is easily the largest. Its reach is enormous, and it ships to over 200 countries across the globe. While it connects you to suppliers in China, it uses regular international courier services to deliver the goods to your doorstep. Aliexpress Dropshipping is an extremely simple process that enables you to supply goods to a customer without ever holding stock. Many online stores work in this way. Although it may seem that they have items for sale, in fact, they only market the items. The supply procedures and delivery are left up to the original supplier and manufacturer. Aliexpress enables you to do this quite simply. In brief, dropshipping means that you have an online store where you display products and market them to a particular audience. When a customer is interested in a product, they purchase it through your website. Rather than you holding the stock, selecting it and sending it yourself, you would send the order details to your supplier. In this case, the supplier would be through Aliexpress. That supplier will then pick the stock, package it and send it to the address you have given them. The goods arrive at the customer without it ever having gone through you. You pay the supplier for the goods. You make a profit as you sell the product for a higher price on your website than the supplier sells it to you. Dropshipping allows you to provide a range of products that can be changed at any time, without having to worry about stock not selling, or having too much of one product that is now out of date. This saves you money as you don’t have the initial costs of purchasing stock or the cost of stock not selling! Equally, holding stock means you need warehousing and logistics. dropshipping through Aliexpress means you do not need to think about these additional costs. When using Aliexpress for dropshipping, there are a few steps you should take to ensure you have a smooth operating business. Firstly, it is important to research your product. Success relies heavily on your market research. You can use Aliexpress to start this process by looking at the most popular products being sold in the weekly best selling section. For visual learners watch the video below from Wholesale Ted or click the link for more videos. You may want to undertake additional research by looking at best sellers on Amazon and Ebay. The path to success also relies on defining a niche for yourself, as you want to target a very specific audience with your marketing. By selling a niche specific product, you can gain much better insights into the product, its trends, and the people looking to purchase it. Trying to market to a wide large audience is difficult as you can’t guarantee to meet everybody’s needs. It is also easier to rank more highly in search engines if your store is within its own small niche. To consider how well your niche is doing for marketing purposes, you may want to look into Google Trends. this'll show you the popularity of this specific niche online and how people are behaving in relation to this type of product. Additionally, understanding your competitors is vital. Before launching a website dropshipping Aliexpress products, you must fully appreciate other people in the same niche or market. You need to analyze their marketing strategies as well as the types of products and customers they work with. this'll help you to understand what works for them and what doesn’t, allowing you to capitalize on this. It also helps you to gauge the prices at which you should be selling your products. Once you have defined your own sector of sales, you should explore the products available on Aliexpress. You need to make sure that Aliexpress has enough products that fit into your niche to provide an entire website of services and products. Equally, check the prices of the Aliexpress products against your competitors' prices. When you price a product, it should be 100% profit, meaning you should be selling at double the price you paid. If you pay $10 for a scarf on Aliexpress, you should sell it for $20. You need to make sure that this pricing is similar to your competitor's pricing. If you price too highly, you'll lose customers to your competitors. If the price is too low, you'll not make an decent profit margin. Setup Your Website For Aliexpress Dropshipping. Once you’ve completed your market research, you’ll need to set up your website. In order to dropship through Aliexpress, you'll need to host your website on a server. Set up your website with WordPress, using a domain name that suits the products you're selling. Your domain name is important in representing your company, demonstrating clearly what you sell, and attracting search engine spiders to rank you for the products you're marketing. You need to pay for hosting so that your website will go live online. Alidropship is an affordable hosting platform using WordPress that is fully optimized for Aliexpress and dropshipping. Once you have set this up, you'll need to install the Alidropship plug-in. This provides a user interface that makes Aliexpress dropshipping much easier, connecting you to your suppliers with very little effort. The user interface also keeps track of pricing through Aliexpress so it can synchronize prices with your supplier. Where you would need to consistently keep up-to-date with supplier costs, this tool helps you to do this automatically. It also makes it easy to add new product and customize your site. After everything is setup, you'll need to add products and market your website. Marketing is an all-encompassing task where you need to consider utilizing social media, mass email marketing, and blogs. While Aliexpress dropshipping is a simple method for selling products to a wide audience, your success is only as strong as your supply chain. If you have a good supplier, you'll find that customers will stay loyal to your store. However, if your supply chain is poor, products are not as described, or delivery is poor, it will lead to you gaining a bad reputation, losing customers, and not making a profit. Therefore, it is vital to find good suppliers. There are a few key steps to doing this. Firstly, the price is important. Though not the only measure, it’s important to shop around on Aliexpress. you're looking for products that are half the price of which you intend to sell them. However, if the price is extremely low, the likelihood is that it’s too good to be true. Very low prices indicate poor quality products or fake knock off goods. While sometimes low prices offered on Aliexpress are from new vendors looking to get a foothold, often they are more likely to represent problems. Comparing prices across sellers enables you to understand the going rate. this'll highlight low and high anomalies as something to be cautious about. Aliexpress has designed a nice tool to help with this. If you hover over the price bar, it will let you know how many customers have bought products in that particular price range. That'll help you to see whether these vendors are trusted and bought from regularly. Good sellers also offer bulk pricing. This is a negotiable price for large shipment orders, so make sure to take advantage of this and contact the seller about their rates. Shop around for this too. You're looking for suppliers that have feedback over 95%. However, it’s crucial that you consider the number of sales they have had. If a supplier has 98% feedback but has only sold two items, you cannot judge the longevity of this performance. A reputable seller will have a high feedback percentage over a long time with many customers. 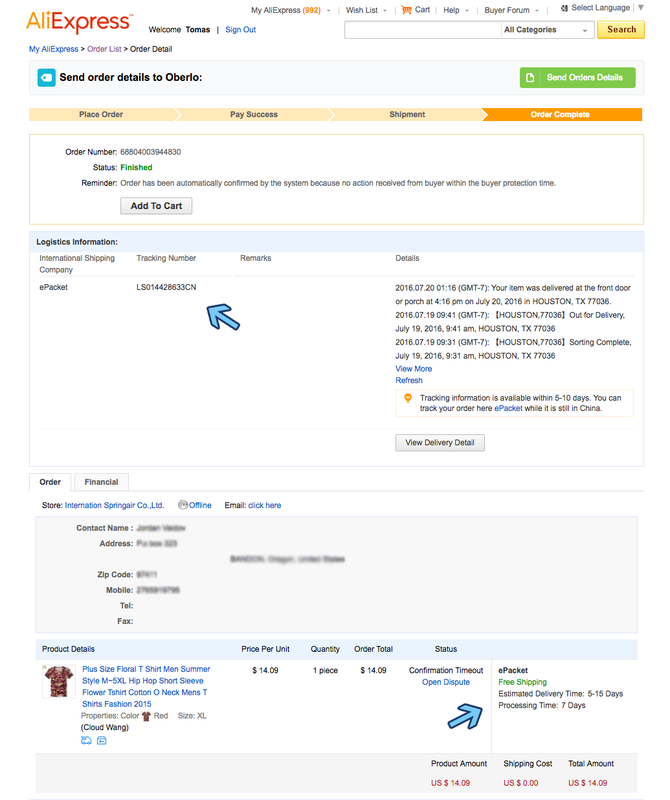 You can sort your search by seller rating. Always look at the comments and try to understand why there has been bad feedback. Maybe there was a one-off error. Yet, sometimes you may find 95% of feedback is good, but the 5% bad feedback is the same recurring issue. You’ll also need to consider how responsive the seller is. Imagine that you have an immediate crisis with a customer who wants a product re-shipped immediately due to damage. They may have taken out a claim on PayPal or may be slating your company on Facebook. To hold true to your reputation, you need to remedy the issue immediately, and if you cannot get hold of your supplier, you'll have problems. You can look at comments for this and see the amount of time it has taken them to reply to messages. You do need to be fair here and consider the time difference, but suppliers who leave days in between response times are not going to work well in times of crisis. Another important thing is to know what you're getting from the supplier. You need to read the description carefully to understand what is in stock as well as what the actual item is. While the pictures may seem beautiful, these are often used to lure you in. Moreover, you cannot guarantee that the pictures displayed are of their own items or taken from another seller. Plus, when looking to sell designer pieces, you need to check that they are authentic. As a rule, it is rare to find authentic designer products on Aliexpress, so make sure you double check this before purchasing anything. Check the comments and feedback, as this'll give you a clear sign of authenticity. Make sure to check the feedback of both the product and the seller. Also bear the price in mind, as low prices immediately flag the concept of dodgy gear. You can also look for the ’Guaranteed Genuine’ certification. If the product arrives and it isn’t genuine, you'll receive your money back and the cost of shipping. The last step to finding a good seller is to contact them. You can ask them all the questions you need about authenticity, duties to be paid on entering the country, delivery methods and timing, price per unit and bulk pricing, and minimum order quantities. By ordering a sample, this'll help you to judge the quality of the product while also testing the shipment process. Aliexpress suppliers can choose from a wealth of different couriers to enable shipping to your destination. These are: S.F. Express, UPS, DHL, FedEx, EMS, TNT, China Post, Registered Air Mail, HongKong Post, Air Parcel, DHL, Russian Air, Global Mail, China Post Ordinary, Small Packet Plus, HongKong Post Airmail, e-EMS, TOLL, Swiss Post, Singapore Post, Special Line-YW, Sweden Post, and E-packet. Often suppliers will offer several options for you to choose from, and costs vary depending on your chosen method. The security of delivery also depends on the chosen method. E-Packet shipping service is one of the fastest and most reliable methods of getting products to the US. It’s An agreement between the HongKong Post and USPS, the idea is to boost economic growth and trade between the two locations. This service enables quicker shipping of products that are considered lightweight, weighing up to 4.4 pounds (2kg). The service is between US merchants and Chinese and Hong Kong suppliers. To use this service, the value must be less than $400. It comes with tracking from supplier to recipient, and all customs charges (if any) must be paid for by the recipient. Shipping methods on Aliexpress are set by the supplier. If you would prefer a different method or have any questions about their shipping choices, you can contact the supplier. The costs are set by the suppliers and can be negotiable. If you contact the supplier, they can discuss the shipping price with you. Delivery times are set by the courier companies that provide the shipping services. The times they offer are rough estimates as your items can be held up in customs for an extended period. In terms of customs, any import duties are collected from the recipient by the shipping company on the delivery of the item. These are to be paid by the recipient. Sometimes there will be delays in customs, which are not the fault of the supplier and should not be reasons to leave poor feedback. If you see a supplier with poor feedback due to customs charges or delays, this is not their fault. Once the supplier has sent your order for delivery, they will update the system with a tracking number. Image: Oberlo; Oberlo allows you to easily import drop shipped products directly into your ecommerce store and ship them directly to your customers – in only a few clicks. This number relates to the order with the courier service. Following this, you can track your customers delivery by heading to the website of the courier service to see where the package is. This'll also tell you if the package is caught up in customs. It should take no longer than 72 hours for the tracking details to appear. E-Packet shipping can be tracked through USPS or China Post but can also be tracked on websites like 17track.net. Using Aliexpress for dropshipping comes with a lot of advantage. Firstly the simplicity of the whole system makes your life easier. If you chose to dropship independently, you would have to find your suppliers and negotiate with them, which is no easy feat. With Aliexpress dropshipping, all your suppliers are in one place with predefined prices. Aliexpress is so large that it has an extensive range of products as well as a myriad of reliable suppliers, with feedback systems that enable you to understand the reliability of each supplier. Aliexpress can save you money. As an independent dropshipper, you would have to negotiate prices. This would usually result in you only receiving a 20% discount on the retail price for which you would be selling it. Most suppliers want you buy their products wholesale and get the money up front, and few like dropshipping as they have to do all the delivery work. The low prices on Aliexpress mean that you can make a much higher profit margin with suppliers who are ready and willing to dropship. Make sure that you negotiate on bulk deals to get the best out of your suppliers. You can also negotiate on pricing as a loyal customer if you order the same product on a frequent basis. As with most business, the suppliers will have around a 30% margin on what they sell you. This gives you room for price discussion. Equally, make sure to negotiate shipping prices as this can make a significant difference to your profit margin. The dropshipping interface available through Alidropship makes your life much easier. Rather than having to single-handedly design a web page, with plugin systems to link you to your supplier, this user interface helps to iron out the process. The platform is also free to use, which cuts back on costs of using websites like Shopify or Big Cartel. Make sure to research successful sites to see which layouts work best. Customer behavior can often rely on the design of a website and the ease of use. Therefore, understanding which designs work best will help to lead to more conversions. The payment system, Alipay, uses Escrow, which is extremely secure. Alipay works as a mediating system between buyer and seller, so if a dispute is opened, it will be judged by the third party. This helps to prevent you losing payments to the seller if the goods are not of the right quality or the service is poor. Make sure to always define the quality you're looking for with your supplier so that you have a paper trail of what you expected and what you asked for. This is in case of a dispute where you can provide evidence that you were assured of what you were receiving. There are a wealth of positives with working with Aliexpress, but there are some things you need to avoid. It is always best to order a sample first so that you can check the quality of the goods before they are sent out to your customers. If you send a product to a customer without checking first, you can’t be sure of the reliability of what a supplier is saying. You need to make sure that you keep up-to-date with all updates on the product (make sure your supplier knows you want this information) so that you can see a new sample if the product changes. One other issue is in regards to compatibility. Aliexpress uses Chinese vendors, which means that some products may not translate across to the USA or other countries. For example, electronic goods may not work correctly the US or Europe. Cell phones may not be able to get service or access 3/4G servers. Equally, the plugs may be different or electronics may not be compatible with your country’s voltage. Always make sure to ask these questions first. While many sellers are reliable, beware of sellers who ask for extra money after you have placed an order. A common scam on Aliexpress is that a seller will claim that they forgot to charge the shipping correctly and need more money. If this happens, challenge the order and send the messages to customer service, who will deal with it from there. Equally, never pay money straight into a seller’s bank account. Use the payment system to ensure safe payment and receipt. A few other things to keep in mind is that you should never confirm that the order has arrived before it has. Sometimes sellers will tell you it is shipped and ask you to confirm. Wait until you receive the goods otherwise you'll not be able to claim the money back if it does not get to you. Overall, Aliexpress dropshipping is an excellent method for starting an ecommerce store. The wealth of products combined with the easy-to-use interface will help you get your business off the ground quickly and efficiently. Aliexpress offers a myriad of resources to help you with marketing and understanding the trends to follow. However, always make sure to do your research into the sellers, both in terms of service and quality. Take the time to shop around and do not rush into purchasing before you understand your own market and how to serve it best.